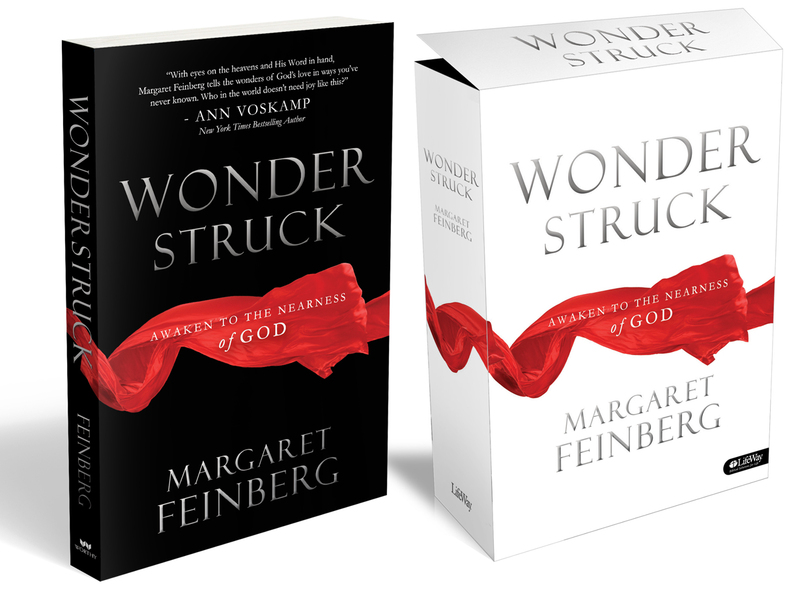 Susan Heim on Writing: An Interview with Margaret Feinberg, Author of the New Life-Changing Book, "Wonderstruck"! 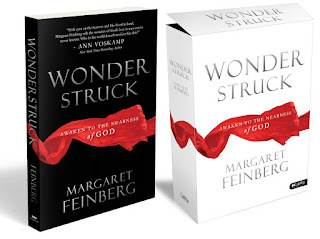 An Interview with Margaret Feinberg, Author of the New Life-Changing Book, "Wonderstruck"! A Sneak Peek At Wonderstruck from Margaret Feinberg on Vimeo. Where did the inspiration for the Wonderstruck book and Bible study come from? Have you ever had one of those seasons where everything goes wrong, and when you think it can’t get worse, it somehow finds a way? Most people who have worked in ministry have experienced those seasons -- some may be in one right now. My husband, Leif, and I had just gone through one of the roughest years of our lives. In the aftermath, as we processed the pain and loss, I had an unexplainable desire in my heart. I began praying for the wonder of God. In essence, I said, “God reveal yourself, your whole self to me. I want to know you as Wonderful. I want to know you as I’ve never known you before and see you in places I’ve never recognized you before.” God did not disappoint. What do you mean by “the wonder of God”? Sometimes talking or writing about wonder feels like tying kite strings to clouds. It’s ethereal, and you can never quite get a grip on it. But if you look in the dictionary, the two main definitions of wonder are: “being filled with admiration, amazement, or awe” and “to think or speculate curiously.” Those definitions come together beautifully in our relationship with God. That’s why I define the wonder of God as those moments of spiritual awakening that create a desire to know God more. In other words, the wonder of God isn’t about an emotional experience or having some cool story to tell your friends, but the wonder of God makes us want more of God -- to go deeper and further than we’ve ever been before. Why are you calling people to #LIVEWONDERSTRUCK? If you look in the Gospels, what you’ll discover is that those who encountered Jesus were constantly left in wild amazement. They were awestruck by the teachings of Christ, the healings of Christ, the mind-bending miracles of Christ. Within the Gospel of Luke, we see words like “awe” and “wonder” and “marvel” at every turn. If this is the natural response to encountering Christ, how much more should it be for you and I -- who are invited to live in relationship with Christ as sons and daughters of our God Most High? We even created a free PDF that looks at some of these Scriptures. For a free copy, email us at wonderstruck [at] margaretfeinberg [dot] com and we’ll send you one. Follow Margaret’s snarky, funny, and inspirational posts on Twitter, Facebook, or her blog. You can learn more about this great book by visiting www.margaretfeinberg.com/wonderstruck where she’s offering some crazy promos right now with up to $300 of free stuff! I’ve seen the book for as low as $7.57 ($14.99 retail) on Barnes & Noble for all you savvy shoppers. You're the best, Susan. Hug to you this Christmas!